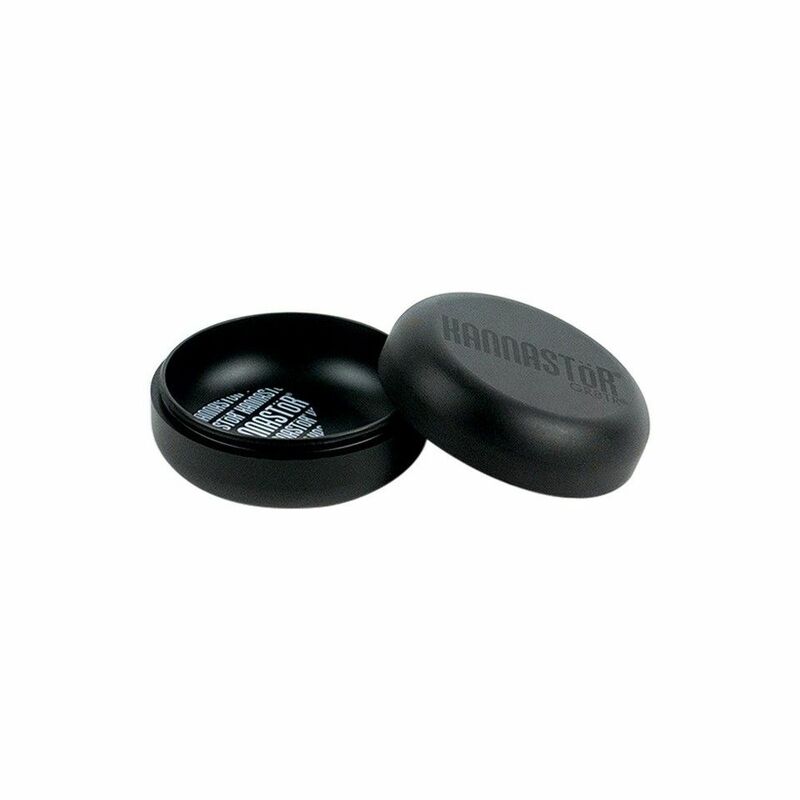 The Kannastor GR8TR V2 Series Storage Puck Container is a redesigned Kannastor Puck that now sports a rounded shape and matte black finish for the sleek appearance to match the functionality. Just as the previous versions, the GR8TR V2 Series Puck is engineered to thread into all 2.2" Mult-Chamber Kannastor Grinders including the original and newest GR8TR versions. This innovative design allows you to grind your favorite dry blends directly into the container to minimize waste and mess. 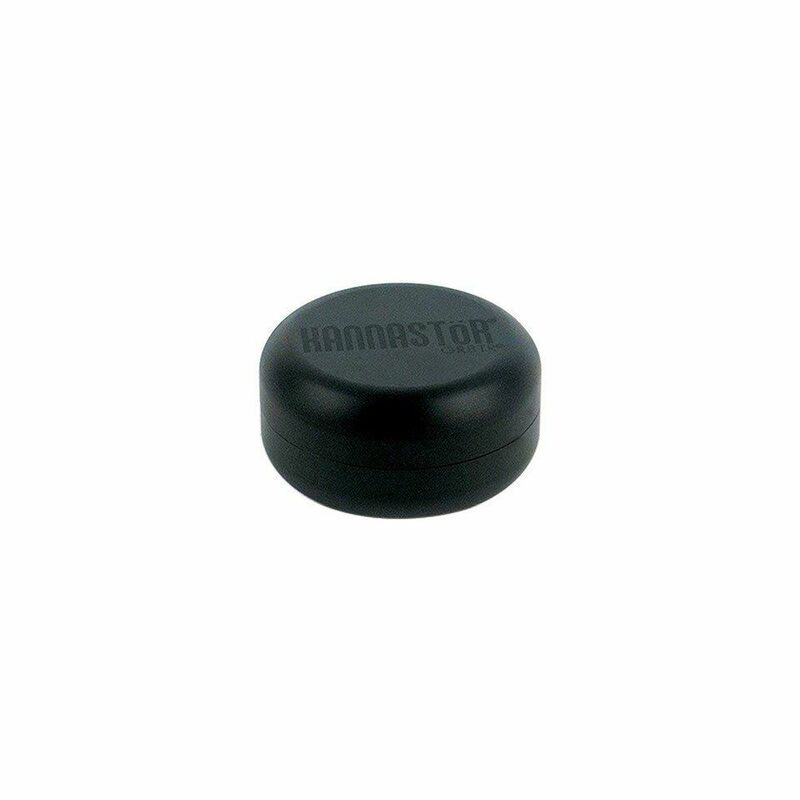 Kannastor's GR8TR V2 Storage Puck features a heavy duty 60-61 hardened anodized aluminum construction. This premium quality material is 100% food safe and it is quite durable, easily resisting scratches, scuffs and your average everyday wear and tear. The internal storage area is manufactured with a deep polished base tray that sports a cornerless design. Rather than having hard to reach corners for your dry blends to get lost in, the GR8TR Storage Puck has rounded edges that makes scooping your material out as easy as can be. Kannastor also includes their contoured scraping tool to ensure you are always able to remove every last bit. After nearly a decade in the industry, Kannastor has become well known for their quality craftsmanship and their V2 GR8TR Puck Container certainly lives up to that standard. Pick up one today with Kannastor's limited lifetime warranty it will be the last one you ever need to purchase!